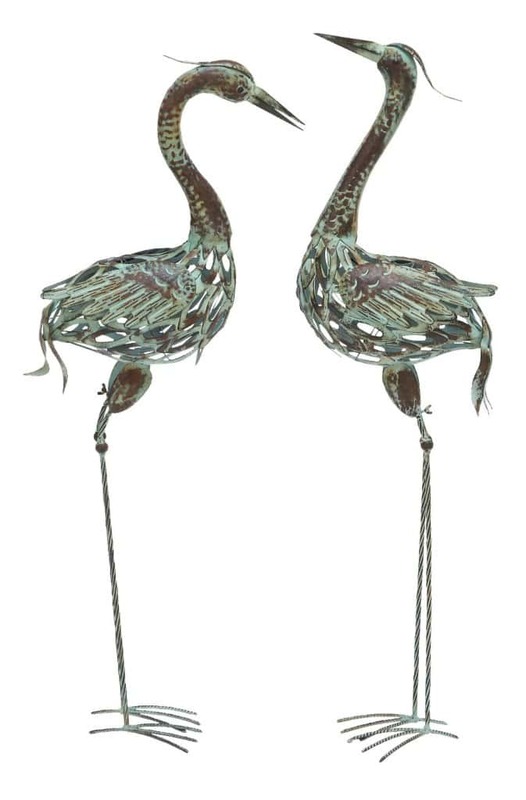 This pair of Metal Garden Cranes makes a lovely, decorative accent for any garden. The metal gives a rustic style appearance that is appealing and blends well with natural elements. The crane statues featue a textured finish and a natural looking green tone. As you can see they are not exactly the same but are a couple with distinct features. They are made of iron and built to withstand weather conditions. The Crane garden statues are available here ~ Deco 79 50401 Metal Decorative Crane Statue, 40 by 38-Inch, Set of 2 . If you like the garden crane statues you might also like to check out the following.